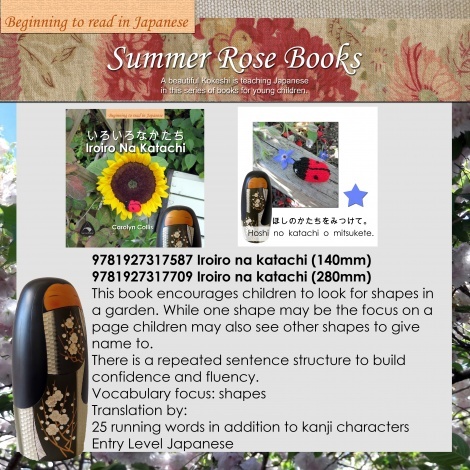 This book encourages children to look for shapes in a garden written in Japanese. While one shape may be the focus on a page children may also see other shapes to give name to. There is a repeated sentence structure to build confidence and fluency. 25 running words in addition to hiragana.